The Memorial Hall was built in 1922. A Roll of Honour on the auditorium wall commemorates everyone from Innerleithen Parish who served in some capacity during World War I. In 1919, Henry Ballantyne, the managing director at Waverley Mill, purchased the adjoining house (Home Villa) and donated the building and grounds to the burgh for council use. Funds were raised locally by public subscription to pay for the building of the hall. 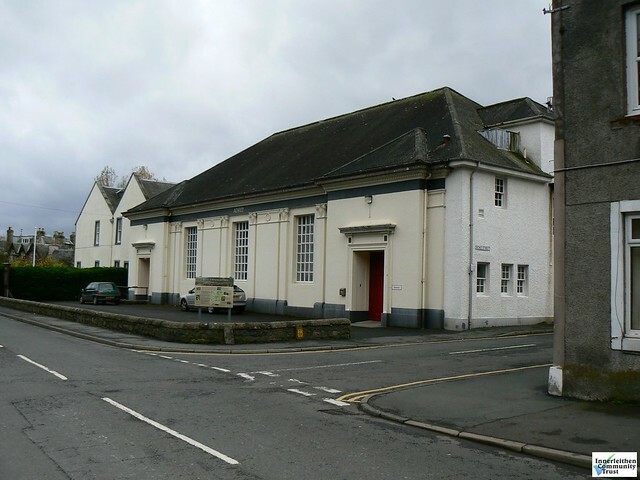 The Memorial Hall is the largest public hall in Tweeddale and has long been the home of Innerleithen & District Amateur Operatic Society It is administered and maintained by Scottish Borders Council.